The captain of a South Korean ferry was jailed for 36 years Tuesday over the sinking this year that killed more than 300 passengers, mostly school children, a news report said. 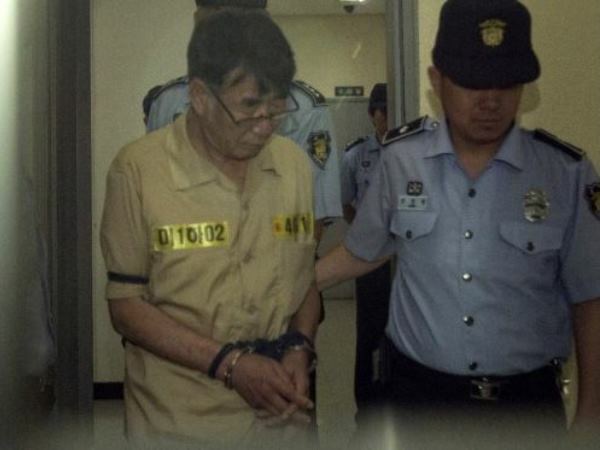 Lee Joon Seok (69) was convicted of dereliction of duty for abandoning the passengers on board the ship, but found not guilty of murder at the trial of the sunken vessel's crew in Gwangju. Prosecutors had sought the death penalty in the event he was convicted of murder. Three other crew were sentenced to 15, 20 and 30 years, respectively, on related charges. The Sewol sank on April 16 on the way from Incheon to Jeju Island off the south-west of the peninsula. A total of 295 bodies were recovered, with the remaining nine missing presumed dead. Most were teenagers on a school outing. Investigators found signs the ferry may have been routinely overloaded with the collusion of its operator and owners. The eldest son, two brothers and 10 close aides of the owner of the ferry were convicted of corporate crimes last week. Yoo Dae Gyun was given three years for embezzling 7.39 billion won (6.79 million dollars) from the his father's company and six other affiliates between May 2002 and December 2013. His father Yoo Byung Eun was found dead in a field in early June, with the cause of death undetermined. Earlier Tuesday, the government called off the search for the remaining bodies, citing danger to the recovery crew from deteriorating conditions on the wreck.